International courts are formed by treaties between nations or under the authority of an international organization such as the United Nations and include ad hoc tribunals and permanent institutions but exclude any courts arising purely under national authority. 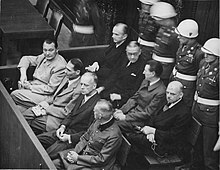 Early examples of international courts include the Nuremberg and Tokyo tribunals established in the aftermath of World War II. Three such courts are presently located at The Hague in the Netherlands: the International Criminal Tribunal for the former Yugoslavia (ICTY), the International Court of Justice (ICJ), and the International Criminal Court (ICC). Further international courts exist elsewhere, usually with their jurisdiction restricted to a particular country or issue, such as the one dealing with the genocide in Rwanda. In addition to international tribunals created to address crimes committed during genocides and civil war, ad hoc courts combining international and domestic strategies have also been established on a situational basis. Examples of these “hybrid tribunals” are found in Sierra Leone, Lebanon, East Timor, and Cambodia. International Courts are permanent tribunals judging by International laws and treaties, also when these norms are on civil and commercial matters. International courts should be distinguished from international arbitration forums. Judges and high-level staff of such courts may be afforded diplomatic immunity if their governing authority allows. United Nations Rule of Law: Tribunals & Other Mechanisms, on the relationship between international courts and the rule of law.